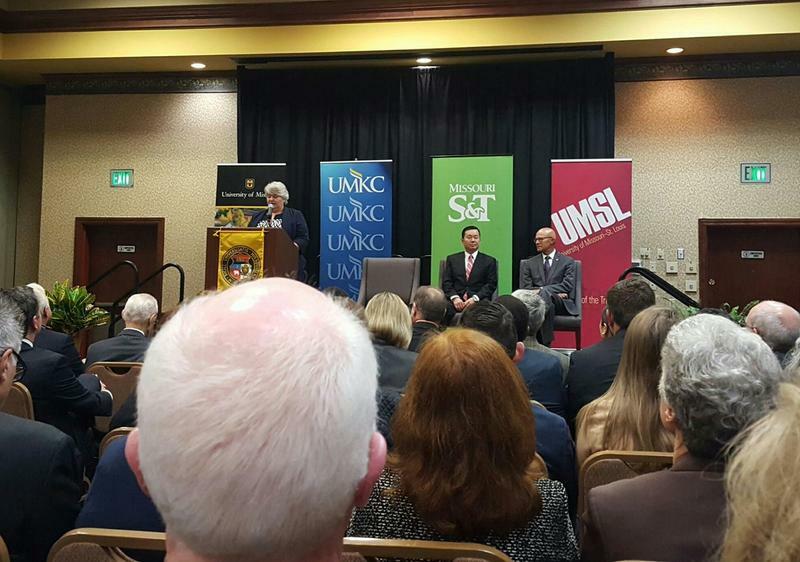 Choi lauded the school as being one of the finest research university systems in the country. He then spoke broadly about his vision for the UM system during his presidency. His first priority being engaging with numerous system stakeholders – including students, faculty, staff, alumni, lawmakers and more. He added that he intends to meet with “all of the elected officials to help shape a shared vision” for the UM system going forward. He spoke about his commitment to making sure that higher education is affordable and accessible to all, as well as ensuring that the UM system continues to be nationally competitive across all departments. Choi, who holds Ph.D. in mechanical and aerospace engineering from Princeton University, forms a stark contrast to his predecessor, 23rd UM System President Timothy Wolfe, who came from the business world, previously serving as president for enterprise software company Novell. Interim MU Chancellor Hank Foley echoed this sentiment. He said he is thrilled by the selection of Choi, and adds that he believes Choi’s background in academics, rather than business, will greatly benefit the UM system. In November 2015, Wolfe resigned from his post as system president amid student protests and accusations of racism. Since then, deputy chancellor emeritus Michael Middleton has been serving as interim system president. In 1994, Choi began work as a faculty member in the mechanical engineering department at the University of Illinois. He moved to Drexel University in 2000 to become department head of mechanical engineering and associate dean for research. Choi has been at the University of Connecticut since 2008 and was appointed provost in 2012.